Frost covered the ground on this cold April morning east of San Antonio. Purple wildflowers (phlox) seemed to turn to soft pastels with the thin layer of frozen moisture that covered them. 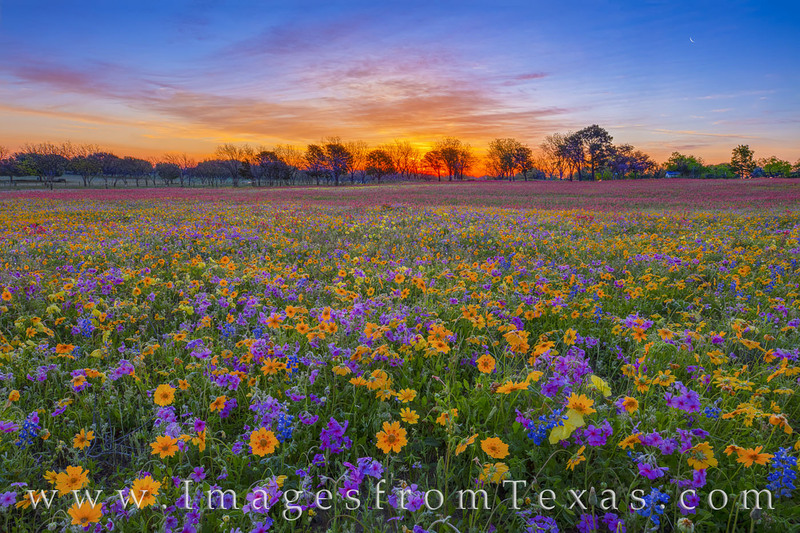 At the same time, this pasture of beautiful wildflowers slowly began to warm up as the sunshine slowly lit up the sky. The air was cold this morning, but the landscape was colorful and alive with blooms of red, gold, blue, and purple. This wildflower photograph was taken on private land upon invitation of the owner. Photo © copyright by Rob Greebon.